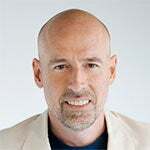 Scott Galloway is a Clinical Professor of Marketing at NYU Stern. He discusses Donald Trump's business model based on name licensing. Yahoo Finance, "The Real Way Donald Trump Makes Money"